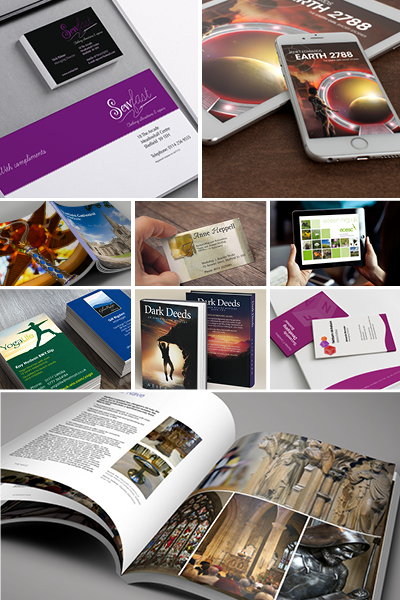 Get noticed with eye-catching visuals, clear and creative layouts, distinctive logos and corporate indentities. No matter what size, we manage your design requirements from concept to completion. IDFP apply creativity that fits your brief – from simple flyers to co-ordinated suites of materials, we have the creativity and capacity to deliver. Whether you are a sole trader or large company, our goal is to understand what you need. With over twenty years’ design experience, we know how to work to your objectives - including your budget. We design graphics to work seamlessly across print and digital formats, ensuring consistency across website graphics and social media content. We endeavour to offer the most effective solutions to your promotional requirements, without compromising quality. IDFP is based on the Sheffield/Derbyshire border and was established in 1998.